At a news conference in February, Major John Tibbitts discusses the strange case of a skier who disappeared from Whiteface Mountain and ended up in California. Photo by Mike Lynch. Constantinos “Danny” Filippidis left a trail of questions after skiing off Whiteface Mountain and ending up in Sacramento, California, in February. Many remain unanswered, even as the forty-nine-year-old captain in the Toronto Fire Department prepares to return to work. “It’s a head-scratcher,” said New York State Police Major John H. Tibbitts Jr. He said detectives have interviewed Filippidis several times, and he has been cooperative, granting access to his cell phone, bank accounts, and doctors’ reports. Nothing unusual has surfaced in the records, Tibbitts said, and Filippidis’s story about not remembering what happened to him from February 7 to February 13 has been consistent. The narrative goes this way: He and friends and colleagues from Canada, on an annual ski trip to Whiteface, were ending a multi-day stay. Some had already left for home. Everyone had stopped skiing at 2:30 p.m. on February 7 except Filippidis, who planned one final downhill run on the packed powder. A skiing buddy headed for the bottom from the mountain’s mid-station. No one saw Filippidis again, although his skis, boots, and car remained at the ski area. Whiteface staff was notified about two hours after he was last seen. Photo of Danny Filippidos taken in Sacramento. A search commenced. For six days, scores of professionals from several public agencies and volunteers and friends combed rugged, snowy territory in severe cold. Helicopters and dogs were employed. More than 9,426 searcher-hours failed to turn up the lost skier, said David Winchell, a spokesman for the Department of Environmental Conservation. Searchers were hampered by a storm that dumped several inches of snow. 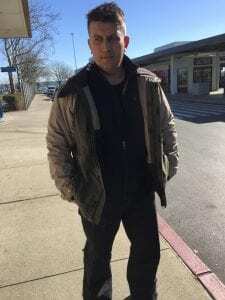 The search came to an end on February 13 after Filippidis called his wife and someone called 911 from the rental-car area of the Sacramento International Airport. The call suggested that a “suspicious person” was having a problem and in need of medical help, said Sergeant Scott Swisher of the Sacramento County Sheriff’s Department. Filippidis was transported to a local hospital. Tibbitts said Filippidis has held to his story of being picked up by a trucker, sleeping a lot, and getting dropped off in Sacramento, buying a cell phone, and getting a haircut. He still was wearing his ski outfit when discovered. How he got from the ski area into a truck is unclear. “He ended up on the side of the road, the only one we’ve got there is [Route] 86,” Tibbitts said “We don’t have a lot of interstate truck traffic coming up 86.” Perhaps, he said, an independent trucker offered a ride. “He can’t describe the trucker or the truck or anyone,” Tibbitts said. Toronto Professional Fire Fighters’ Association President Frank Ramagnano said he has been in touch with Filippidis and his family and firefighters who accompanied him and searched for him. He describes Filippidis as a solid leader who is close to retirement. He and his wife are empty-nesters whose two sons are in college. Filippidis recently sold the family home in the city and moved near a ski center, where he has a season pass and skis regularly. He said Filippidis sounded normal on the phone. Ramagnano didn’t probe him too deeply on what happened. “It may be a mystery,” he said, adding that he is extremely thankful to the searchers in New York. Tibbitts said there is no indication that any law was broken. He added that emergency crews and first responders gained valuable winter experience during the search. He is still hopeful that the photograph of Filippidis that police distributed will be seen by someone who can shed light on the skier’s lost days. 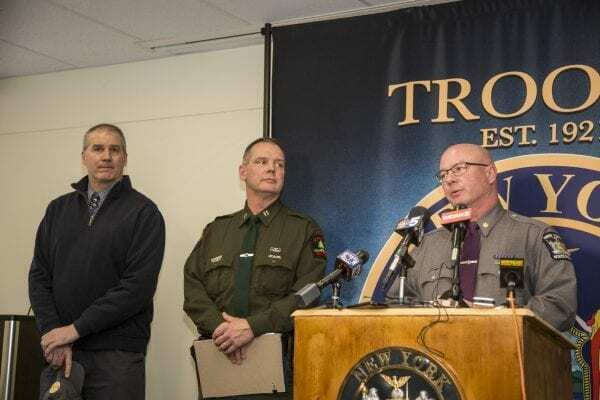 Click here to read an account of a State Police news conference in February. transient global amnesia; I have a cousin this happened to. Fortunately he did not go anywhere! Very strange! And very interesting. Had there been any ufo activity around this time? Maybe they should try hynosis to see what comes out of him. Still too many unanswered questions. I can’t believe the police and/or rangers don’t have the answers. A lot of taxpayer dollars involved here! We have a right to get all questions answered. The fact he was found by side of road, confused, and could remember hardly anything of the last 6 days, eerily reminds me of the Travis Walton case. For those not knowing, it is a fascinating story of alien abduction told by the abductee himself..
sacramento detectives said truck dropped him off from route 86. No such route or street anywhere near Sacramento. better check for ghb. the fact he turned out to not be american probably saved him. Orlando Bosco….did you proofread? Your theory is confusing and not understandable. Wow. Such an odd story. I hope to follow this and hear of what happened to the man. Never heard of this story until now so thanks for that. I have so many questions. Where is his phone? Where did the new phone come from? Did they review pings from both phones? Have they reviewed security camera footage at likely places? Ect.